It goes zero to 60 in about four seconds. Its top speed is 130 miles per hour. And it doesn’t use an ounce of gasoline. 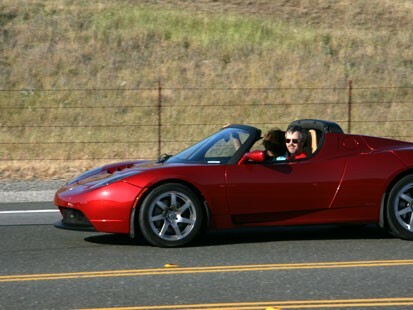 It’s the Tesla Roadster, a new car that’s fueled entirely by electricity and could be hitting the lot just in time. Today the Energy Department reported that the average gallon of regular gasoline is now $3.10 — a new nominal record price for the United States. The Tesla Roadster is named after Nicola Tesla, the largely forgotten genius inventor of alternating current electricity, and it’s the brainchild of Martin Eberhard, who said he designed it because he cares about the environment and because he wanted one for himself.